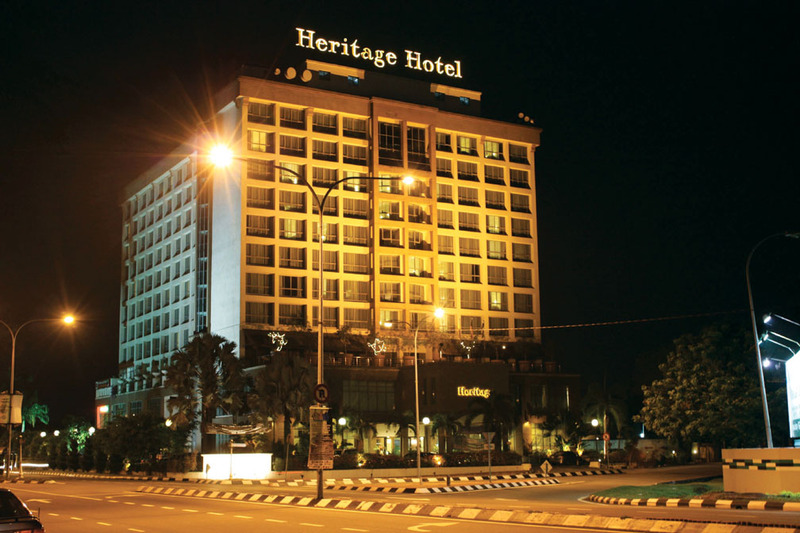 Heritage Hotel Ipoh which is situated at Jalan Raja Di Hilir, is a premier business class hotel ideally located in the heart of Ipoh City with a panoramic view of the adjacent Ipoh Turf Club. All of our 267 well-accommodated rooms come complete with state-of-art security card lock system, centralised air-conditioning, a mini bar, I.D.D. telephone, remote controlled colour television (with in house movies), coffee & tea making facilities and 2 bottles of complimentary RO water. For food, we have Singgah @ H Lobby Lounge at the lobby serving local and western delights and some delectable desserts. At the atrium level, there is an all day dining restaurant, Polo Cafe serving international and local cuisine. Adjacent to Polo Café is our newly opened Garden Lounge serving a variety of cocktails, liquors, beers and light snacks to the relaxing sounds of the grand piano performed live every evening. Other services and facilities include 24 hours room service, laundry and dry cleaning, travel desk, transportation services to and from the airport, safe deposit boxes at the front desk and also a health club - complete with sauna and Jacuzzi service. Our conference facilities permit you to stage various types of conferences, wedding, birthday celebration or theme party of your choice, with a ballroom that accommodates up to 500 people and six well-equipped meeting rooms which are perfect for small to medium sized functions.